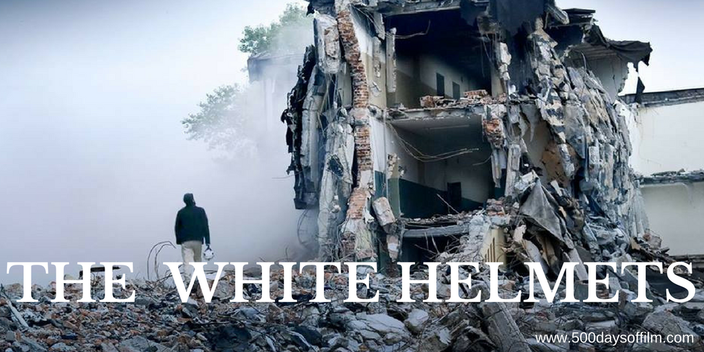 I admit to steeling myself before watching Orlando von Einsidel’s Oscar winning documentary short, The White Helmets. I braced myself for the inevitable tough and upsetting scenes during this film about a group of first responders in Syria. However, while the film does feature many shocking and devastating moments, this inspirational human story - about real life heroes who choose to save lives rather than take them - is one of hope. Remarkable, unbelievable, incredible hope. Formed in 2013, The White Helmets (also known as The Syria Civil Defense) is a non-profit organisation of approximately 2,900 civilian volunteers working in 120 centers across much of the country. The documentary introduces us to some of the group’s members - giving us a glimpse of their day to day lives via the powerful footage shot by young Syrian filmmaker, Khaled Khateeb. These men are also interviewed on camera - telling their own, personal stories and explaining why they feel it is their duty to run towards the bombs instead of away from them. The documentary also shows how the White Helmets prepare for their missions. Comprising bakers, tailors and builders, none of the group’s members are experienced first responders. As a result, many visit a training camp in Turkey to learn key rescue skills. At the end of a tough day of training, they seek a WiFi signal to receive news from home. Tragically, the news is seldom good. Why then, as things go from bad to worse in Syria, do they continue? Perhaps the answer can be found in The White Helmets moto: to save one life is to save all of humanity. Perhaps the answer can be found in Mohmoud the “miracle baby” who, at only a few weeks old, was pulled by the White Helmets from the rubble of a bombed building and who, now aged two, we meet in the documentary during a deeply moving reunion. Whatever the reason for their exceptional bravery, many civilians in Syria would not be alive today if it wasn’t for their rescue work. Since 2013, while more than 130 White Helmets have been killed, they have saved over 58,000 lives. Have you seen The White Helmets? If you have, what did you think about this documentary? Do let me know in the comments section below.